Asian regions and cities have become important international actors but the phenomenon of international engagement of regional and local governments in the Asian countries is still not sufficiently described and recognized in the scientific literature. So far, the research on paradiplomacy mostly concentrated on Europe and North America. However, as shown in this study, the regularities present in Western countries are not necessarily universal. The distinctive features of each Asia n country create quite unique contexts, in which sub-regional actors have to develop their international strategies. 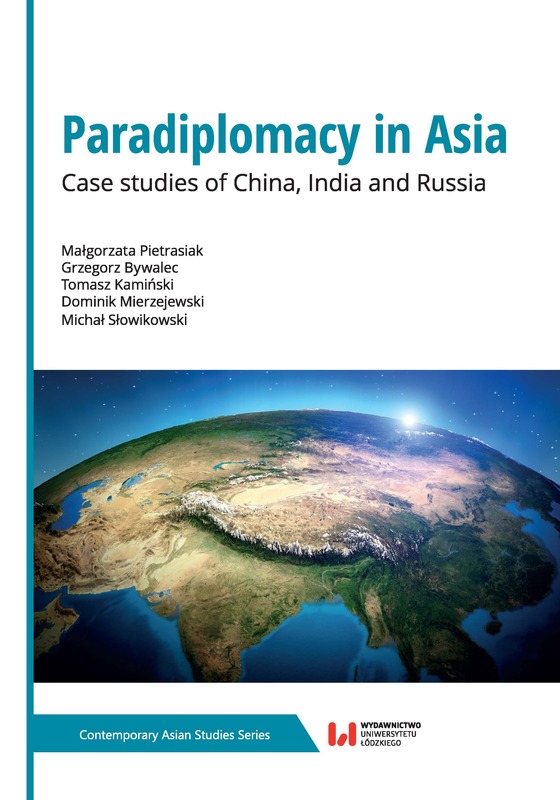 Same of those contexts were presented in this study in order to provide better understanding of the conditions of paradiplomacy in Asia.